1. Mozilla Firefox ( always Use Mozilla FireFox Best Web Browser Ever). 3. 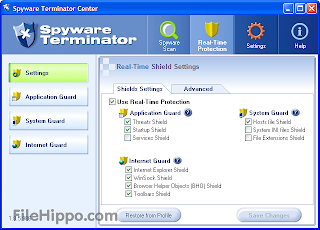 Spyware Terminator (Best Selling Anti-spyware and Anti-Adware). KeyScrambler Personal is a free plug-in for your Web browser that protects everything you type from keyloggers. It defeats keyloggers by encrypting your keystrokes at the keyboard driver level, deep within the operating system. When the encrypted keystrokes reach your browser, KeyScrambler then decrypts them so you see exactly the keys you’ve typed. Keyloggers can only record the encrypted keys, which are completely indecipherable. 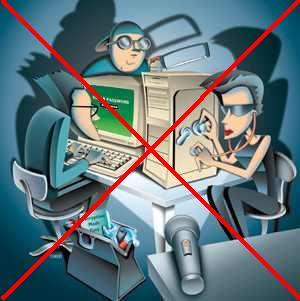 Unlike anti-virus and anti-spyware programs that depend on recognition to remove keyloggers that they know about, KeyScrambler will protect you from both known and unknown keyloggers. What’s more, KeyScrambler provides protection without getting in your way. You don’t have anything to learn about the program and you don’t have to do anything differently, but with KeyScrambler your important personal information will be a whole lot safer. Enjoy and have Secure Privacy… Have Fun!